For more than 15 years, Enthought has built AI solutions with science and engineering at the core. We accelerate digital transformation by enabling companies and their people to leverage the benefits of artificial intelligence and machine learning. From strategy to implementation to training, our science-first approach means we understand your unique market value at the deepest level. Our unique blend of scientists and developers deliver solutions to unite your teams and their data. We identify and implement vertically-integrated applications to accelerate business. At Enthought, we know how to extract business value from your data no matter the state or location - big data to data silos, no problem. We map the human genome. We simulate the polymers in your car tires. We find oil reserves. Together we develop and deploy a transparent solution with accessible Python interface for continuous optimization and discoveries. Transform your people to command AI and even to develop it. At the deepest level, Enthought's immersion training allows them to absorb the skills to invent the future with machine learning and deep learning. Enthought is headquartered in Austin, Texas, with additional offices in Houston, Texas, Cambridge, United Kingdom, and Mumbai, India. For more information visit www.enthought.com. See Career Opportunities with Enthought. Los Alamos National Laboratory's mission is to develop and apply science and technology to ensure the safety, security and reliability of the U.S. nuclear deterrent; reduce global threats; and solve other emerging national security and energy challenges. JSR Corporation is focused on creating innovative chemical materials for society. We have built a leading position in distinct markets, such as fine chemical materials for the semiconductor and display device industries as well as petrochemical materials for the automotive and tire industries. We are currently taking up a new challenge in providing innovative bioprocess materials for the development and manufacturing of biopharmaceuticals and personalized medicines. We are committed in our pursuit of innovative materials to create value and contribute to society, true to our Corporate Mission "Materials Innovation-We create value through materials to enrich society, people and the environment." 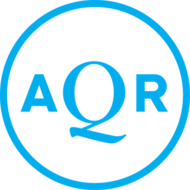 AQR is a global investment management firm built at the intersection of financial theory and practical application. We strive to deliver superior, long-term results for our clients by seeking to filter out market noise to identify and isolate what matters most, and by developing ideas that stand up to rigorous testing. Underpinning this philosophy is an unrelenting commitment to excellence in technology — powering our insights and analysis. This unique combination has made us leaders in alternative and traditional strategies since 1998. Artemis Capital Management is an investment management and research firm that employs systematic, quantitative, and behavioral-based trading and machine learning models to generate returns from market volatility. At Capital One, we’re focused on creating innovative products and services that improve your financial life. We’re evolving the way we work by using human centered design, data science and agile development to bring you smarter, more intuitive products and experiences. Clover Health is reinventing the health insurance model by using its data and analytics platform to identify at-risk members and partner with providers to accelerate care coordination, improve health outcomes and reduce avoidable costs. Built with technology at its core, Clover aggregates and structures data from a wide range of sources – from primary care providers and lab results, to customer service interactions and home visits – for continuous, real-time monitoring. Clover is headquartered in San Francisco. For more information, visit www.cloverhealth.com. THE D.E. SHAW GROUP is a global investment and technology development firm with more than $46 billion in investment capital as of October 1, 2017, and offices in North America, Europe, and Asia. Since our founding in 1988, our firm has earned an international reputation for successful investing based on innovation, careful risk management, and the quality and depth of our staff. We have a significant presence in the world's capital markets, investing in a wide range of companies and financial instruments in both developed and developing economies. Our culture rewards analytical rigor and adherence to the highest possible ethical and legal standards, and we've cultivated a collegial work environment that promotes collaboration across disciplines, geographies, and investment strategies. Our firm has been built in part by attempting to do what other companies might consider impossible, or never imagine at all. A single transformative idea that ultimately works—for a new business, a new trading model, or an improved back office process—is worth dozen ideas that lead nowhere. We've learned that when an extraordinary team sets extraordinarily ambitious goals, astonishing breakthroughs can be expected. Descartes Labs is building a data refinery for satellite imagery. Applying machine intelligence to sensor data, Descartes Labs processes data from the major NASA and ESA satellite constellations at scale, unlocking pristine images of the entire world via a searchable, on-demand interface. The platform allows organizations across industries like agriculture, energy, and impact science, to understand the world in a whole new way. Descartes Labs is headquartered in Santa Fe, New Mexico, and has offices in New York, San Francisco, Washington D.C., and Los Alamos, New Mexico. For more information visit www.descarteslabs.com. At JetBrains, we have a passion for making people more productive through smarter software. Today JetBrains makes some of the most intelligent and powerful IDEs in the market. Our products are used by millions of developers worldwide, and you’ve probably heard of some of them: IntelliJ IDEA for Java, enterprise and web development; ReSharper for .NET; PyCharm for Python; CLion for C++, as well as other smart tools for individual developers and teams. We are also the creators of Kotlin, a new JVM programming language. Our mission is to advance the ability of our nation and its military services to defend themselves and others against cruise and ballistic missiles and threat aircraft. We will achieve this through innovative, effective, and affordable system solutions to the most difficult challenges posed by evolving air and missile threats. NumFOCUS promotes and supports the ongoing research and development of open-source scientific computing tools through educational, community, and public channels. As a 501(c)(3) public charity, NumFocus works to maintain accessible and reproducible computing in science and technology. Our programs include: fiscal sponsorship, the John Hunter Technology Fellowship, Women in Technology educational initiatives, project grants, organization of PyData conferences, membership and community support. Visit numfocus.org for additional information. Plotly creates leading open source tools for composing, editing and sharing, interactive data visualization via the web. We are looking for people like you who share our dedication to Sandia's mission - serving the nation. Sandia offers many challenges and rewarding career opportunities for engineers, scientists, computer specialists, technologists, professional and administrative staff, and students throughout our mission areas of defense, nonproliferation, energy, and homeland security. The mission of the Python Software Foundation is to promote, protect, and advance the Python programming language, and to support and facilitate the growth of a diverse and international community of Python programmers. The Python Software Foundation (PSF) is a non-profit membership organization devoted to advancing open source technology related to the Python programming language. It qualifies under the US Internal Revenue Code as a tax-exempt 501(c)(3) scientific and educational public charity and conducts its business according to the rules for such organizations. Kitware is an advanced technology, research, and open-source solutions provider for research facilities, government institutions, and corporations worldwide. Founded in 1998, Kitware specializes in research and development in the areas of high-performance computing, visualization, medical imaging, computer vision, software process, and data management and analytics. Among its services, Kitware offers consulting and support for high-quality software solutions. Kitware is headquartered in Clifton Park, NY, with offices in Carrboro, NC; Santa Fe, NM; and Lyon, France. More information can be found on http://www.kitware.com. The USGS is focused on some of the most significant issues society faces, in which natural science can make a substantial contribution to the well-being of the United States and the world. The USGS is constantly seeking better software technology to support its mission in characterizing and understanding complex Earth and biological systems through research, modeling, mapping, and the production of high quality data on the United States natural resource infrastructure. NVIDIA’s invention of the GPU in 1999 sparked the growth of the PC gaming market, redefined modern computer graphics and revolutionized parallel computing. More recently, GPU deep learning ignited modern AI — the next era of computing — with the GPU acting as the brain of computers, robots and self-driving cars that can perceive and understand the world. More information at https://nvidianews.nvidia.com/. Pluralsight is the technology learning platform critical to success in the digital age. Enterprise organizations partner with us to enhance their employees' expertise, align learning to key business objectives and close skills gaps in critical areas, including cloud, mobile, security, design and data. With the largest network of expert technologists worldwide and more than 6,500 courses, Pluralsight enables technology skills at scale. PyLadies Austin is a social/professional group for female Python programmers at every experience level. We are a group with a focus on helping more women become active participants and leaders in the Python open-source community. Our mission is to promote, educate and advance a diverse Python community through outreach, education, conferences, events and social gatherings. Women Who Code is a global organization dedicated to inspiring women to pursue and excel in technology careers. We tripled in 2013 and now have more than 10,000 members in 13 countries. We are known for our free weekly technical study groups and larger monthly events including tech talks, hack nights, and career trainings. More than 100 top tech companies including Square, KPCB, Kainos, Heroku, Yelp, and many more have sponsored events for the popular and growing organization.